Just the same with almost everything else in this world, prevention is better than cure. Or in the case of heating and cooling systems, prevention is better than expensive repairs. Just like most of the items around your household, the best way to avoid huge repair and replacement bills is through preventive maintenance of your heating and cooling systems. Our team of experts can help you out by regularly checking your HVAC systems and ensuring they’re working efficiently. Preventive maintenance should be done regularly. The frequency of maintenance depends on how you use your heating and cooling equipment at home. Of course, if these systems are used heavily, then maintenance should be done more frequently. 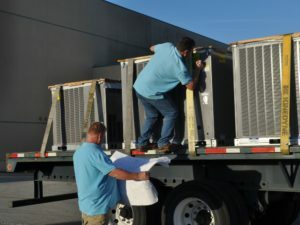 We strive to provide exceptional service to our clients, which made us the trusted cooling and heating company in Clermont, FL and nearby communities. We take pride in our team’s honesty, our reasonable and very fair prices, and our expert service. We can give you the assurance that the service we offer remains topnotch. Let us know how we can assist you - from maintenance to repairs to installation and more. We have a team of professionals in Eggert Cooling & Heating Solutions who will help you with preventive maintenance services. When we find out that there could be problems waiting to happen, we will right away look for the right solution. We service areas in Orlando, Lake Mary, Winter Park, Maitland, and more. Just call us at 407-252-3785 for a free quote and to set an appointment.